Technological advancement has made commerce way too easy nowadays. Just as you can find office space online you can also connect with realtors who can help you locate your dream house. As a buyer, you have a lot of things to consider. One of which is accessibility, you want your new home to be as accessible as possible and for you to have access to the city’s hub. Where accessibility is concerned, there would be considerations like wanting it to be near your office so that it would be easier for you to travel to and fro. It is the same notion as your office. The location is selected by the management to be accessible to the employees as well as by other parties especially if you want snacks delivered to your office. 1. What is the reason for the sale? Others would have the question this way, “Why is the owner selling?”. However you phrase it, you are intending to know why the owner is selling the house. If it’s a good house in a good neighborhood, you might be wondering why someone would be willing to let something like that go; so it’s important that it’s the first thing you know about. Aside from finding out possible hidden issues, it is best for you to ask this so you’ll have a hint based on the reason if the owner will accept a lower price or not. The success of price haggling largely depends on the urgency of the sale so if you find out it’s a rush sale then you can try asking for a lower price. 2. What are the inclusions? To get the best value of your money, be sure to ask whether the house will be sold bare or with inclusions like furnishings or appliances. Also, one of the essential things that you have to know is the boundary of the property. It will be listed on the contract of sale, but it is still better that you have seen all of those before you purchase the property. 3. How long have the owners stayed in the property? Asking about the length of time that the previous owners have stayed in the house is a question that’s related to the reason for selling. If the owners stayed for a short period, then it is a must for you to find out the reason why they are leaving the property. It could be due to drainage issues or noisy neighbors. With these unfavorable conditions, you don’t want to find this out after you have moved into the house. 4. Are you buying from the original owners? A property that has changed hands repeatedly may mean a serious problem. Before you inherit the issues of which you won’t really like the thought, it is better for you to do the precautionary investigation from your end. Ask some neighbors around as to what happened to the previous owners prior to the one you are buying the property from. There were cases that new owners moved into properties where murder has occurred in the past. Your case may not be too extreme but it doesn’t hurt to ask this necessary question before deciding to move int. 5. Has the property been renovated? Check if the plan of the house has been updated on the renovations done. Ask for the reason of the improvement, too. Was it done to address a major ventilation problem or just for aesthetic purposes. Details such as these are worth knowing so that you’ll have the best value for your money. 6. How long has the property been on sale? Ask the real estate agent why the property hasn’t been sold yet. Is it just the price or had previous prospect buyers had seen significant problems that you have not noticed yet. If the property has only been on sale for a short while then you don’t have anything to worry, but if it’s been on sale for a while even with a low price point then you should start investigating on why. 7. How much is the minimum offer the seller will accept? This may sound silly, but this still works to save you thousands of your hard-earned money while buying your house. Real estate agents will give you an indication. It is their interest to make a sell. They will do so while still assuring that you and the owner get a reasonable price. 8. How are the neighbors? Noisy and annoying neighbors could eventually become a big problem. You want peace in your house especially if you have just finished a very long day of work. Mindless people are the least that you would want to worry about. 9. What can they say about the neighborhood? You may be particular if the surrounding is pet-friendly. You may also have kids who would want to play outside. You would want to be assured that the crime rate of the area is zero or close to it. In buying your dream house, nothing could go wrong if you do your research beforehand. 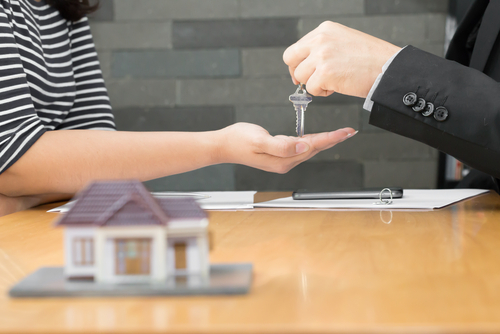 Throwing the right questions to your real estate agent goes a long way too, and it tells them that you are one buyer that must not be messed with. You are critical and well-informed. You have all the right to because after all, this is a long-term investment for you.